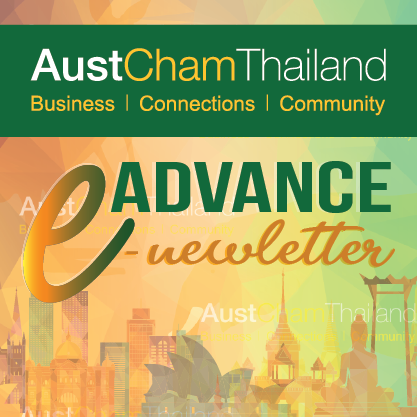 [February 2019] Merger Control Regime in Thailand – a new M&A barrier? For decades, Thailand has been known as not having a merger control regime in place, and thus any mergers and acquisitions (“M&A“) in the past were not subject to approval requirements (except for certain industries which are regulated by specific legislation). Nevertheless, since late 2018, a series of subordinate legislation issued under the Trade Competition Act B.E. 2560 (2017) (“Trade Competition Act“) has been announced. With various other items of legislation, the legislation that gives effect to the merger control provisions of the Trade Competition Act (Section 51) have also been announced and became effective on 29 December 2018. In light of the newly announced merger control legislation, from 29 December 2018 onwards, the M&A which falls within the thresholds under the merger control legislation will be subject to the merger control requirement. The only exemption is when the M&A is subject to the pre-approval requirement, but was approved by the shareholders’ or the board of directors’ meeting or the M&A agreement was executed before 29 December 2018 (the effective date of the pre-approval legislation). What is the merger control regime in Thailand? Thai merger control regime needs two main analyses – (1) whether the M&A is the “merger by way of purchasing assets or shares in order to acquire control of policy or management of another business operator”, and (2) whether the M&A meets the pre-approval or post-reporting thresholds. The acquisition of assets or shares of another business operator meeting the thresholds below will be deemed as the acquisition of control of policy or management of that other business operator. A business operator having relationship in terms of policy or control with the purchaser/acquirer. The post-merger filing obligation will be triggered when the M&A “can potentially result in a substantive lessening of competition in a relevant market”. The M&A which can “potentially result in the substantive lessening of competition” is defined as the M&A in which any of the merging business operators’ turnover or their aggregate turnover is equal to or more than Baht one billion, but which does not create a monopoly or result in the business operator having a dominant position. If a post-merger filing obligation is triggered, the acquirer or the new business as a result of merger shall notify the Trade Competition Commission within seven days from the date of such merger. Any M&A which results in a monopoly or a business operator holding a dominant position must first obtain approval from the Trade Competition Commission. (b) it is among the top three business operators with a combined market share of 75 percent or more, and individually has the turnover of Baht one billion or more in the previous year. All three business operators will be classified as dominant business operators, unless any one business operator has a market share of less than 10 percent in the previous year. The application for the pre-merger approval requires comprehensive and detailed information on the merger, including, among others, business integration plan, market analysis, market concentration and impact on competition assessment. How would it impact my future business expansion plan? Internal restructuring – This merger control regime is not applicable to the M&A for internal restructuring (separate criteria applied). Small M&A would not be caught by the merger control regime – Based on the merger control regime, if the parties to the M&A have combined or individual sales turnover less than Baht one billion, the merger control regime will not apply. This would carve out small M&A from the regime. This should also address public concern on whether smaller local operators such as Thai SMEs should be controlled by this regime given that the merger may not have significant impact on the market. There is a definitive timeline for the consideration of the pre-approval application – The Trade Competition Commission must complete its consideration of the application within 90 days (extendable for another 15 days). If the business operator disagrees with the Commission’s decision, it can appeal to the Administrative Court within 60 days of the decision. Baker & McKenzie is one of the foremost international law firms in Thailand, providing world-class legal services in corporate and commercial law, environment, financial services, tax, intellectual property, dispute resolution, and major projects and infrastructure. With 72 offices, 45 countries globally, the firm offers clients practical legal solutions and expertise in local and multijurisdictional business transactions. Established in 1977 the Bangkok office is a full-service commercial law firm with over 100 lawyers and more than 200 employees. The Bangkok office is the largest international law firm in Thailand.